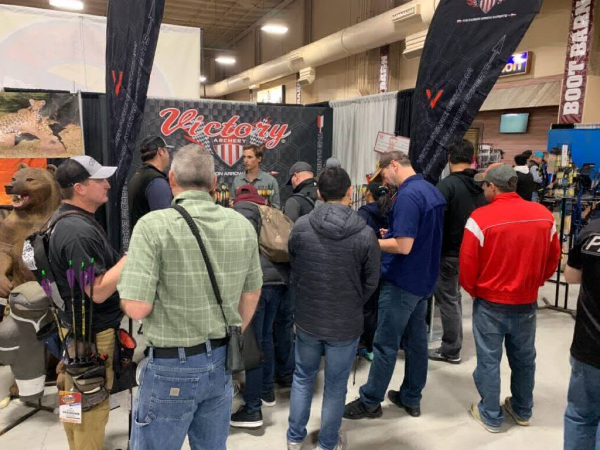 Victory Archery took the 2019 Vegas Shoot by storm with the introduction of the VXT target arrow. Joining what is already one of the top performing target arrow lines in the industry, the new front-parallel, rear-tapered design of the VXT has shown lights out performance and Vegas Shoot attendees are taking notice. The buzz of the 2019 Vegas Shoot was noticeably centered around the new VXT, which has proven to be Victory's most advanced target arrow ever produced. Also announced at the Vegas Shoot, Victory Archery has created a channel dedicated to target archery. To find out more information, search for Victory Target Archery on Facebook. When it's all on the line, trust the carbon arrow experts at Victory Archery and the most accurate target arrow ever created, the new VXT.